A classic style that will look great in any room in a medium brown finish. 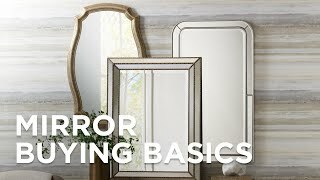 Simple and classic style make this rectangular wall mirror the perfect addition for any space. The wood frame features a deep brown finish. From Howard Elliott. 24" wide x 36" high x1" deep. Hang weight is 18 lbs. Glass only section is 18" wide x 30" high. Surrounding frame is 3" wide. Rectangular wall mirror from Howard Elliott. This classic and timeless wall mirror in a brown finish.